Donald Trump was the resounding winner of the final presidential debate in Las Vegas, according to a flash poll conducted during the debate. Approximately 57 percent of people named the GOP nominee the winner of the tense debate according to the unscientific survey that ran on AOL.com during the debate. Hillary Clinton was the winner according to 43 percent. 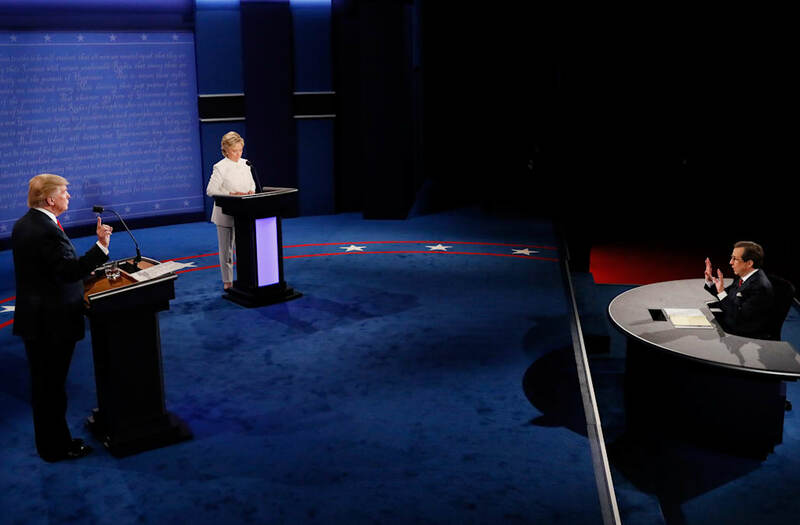 Clinton led in the first 30 minutes of the debate, three of every five voters naming her as the winner, compared to only two of five declaring Trump as the winner during the early minute. But as Clinton and Trump's barbs became more heated, Trump surged into the lead, according to the hundreds of respondents. A separate poll taken after the debate ended suggested that more users thought Clinton won. Two hours after the debate had ended, she held a nearly 20-point lead over her rival. But Trump took the lead with voters as some of the more fiery moments of the debate began, including a tense exchange over immigration. The win is the first Trump has scored with AOL users during the first three debates. Clinton was declared the winner by more users both during the first debate at Hofstra University in New York and the second town hall debate in St. Louis, Missouri. Republican vice presidential nominee Mike Pence was declared the winner of the sole showdown against Democratic nominee Tim Kaine.